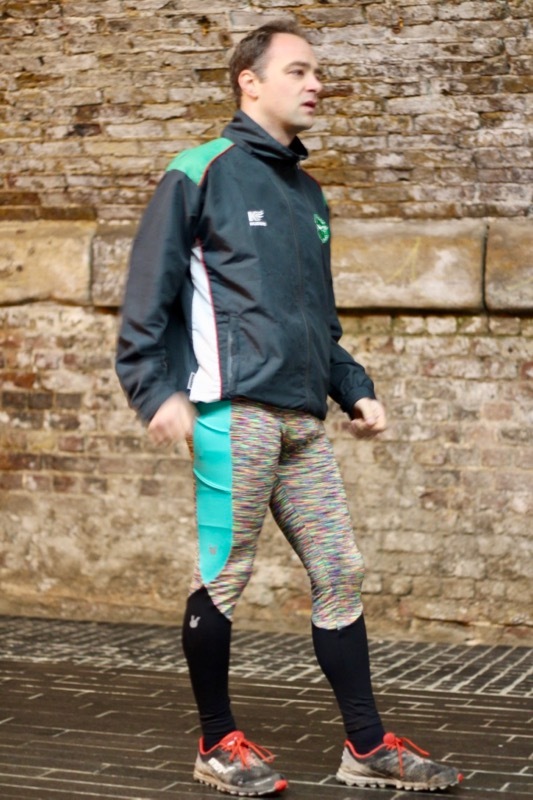 Thankfully I have a willing model in my friend Alex, who so happy to have some great running gear that isn’t black or blue (the 2018 men’s equivalent to my complaints about black and pink a few years ago!) that he’s willing to pose for a few photos. And those of you who visited our stall at the Great British Sewing Bee Live last year may have met him then, too! 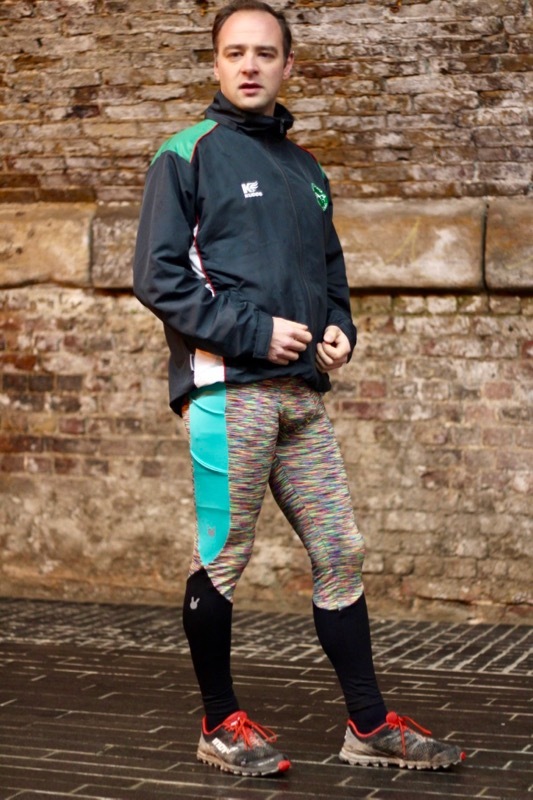 For this pair of leggings I’ve used Neon Blur and Vibrant Green activewear fabrics from Guthrie Ghani along with some black supplex (originally from Tia Knight but long since sold out – Funkifabrics stock similar black supplex though) on the lower leg. 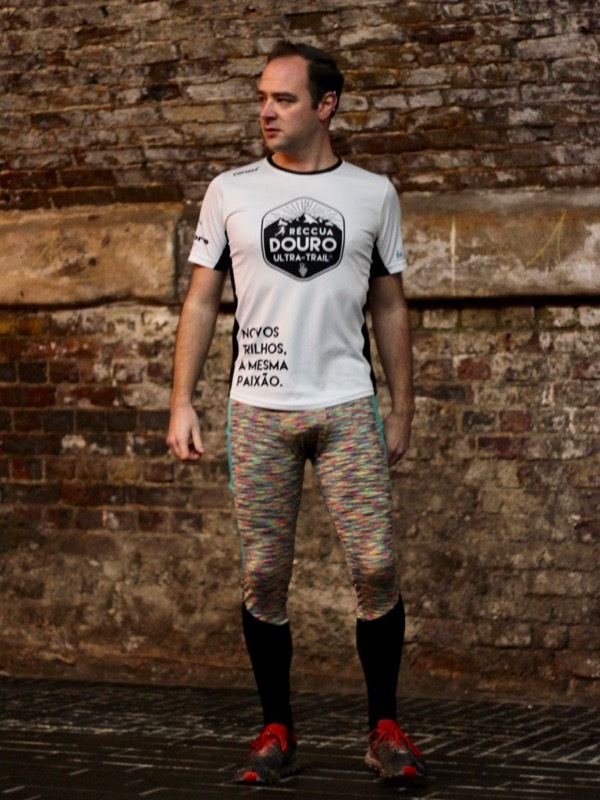 Using black on the lower leg was a conscious choice here because Alex does a lot of muddy trail running in rural Oxfordshire and this will conceal any mud stains that might be difficult to shift! 1. 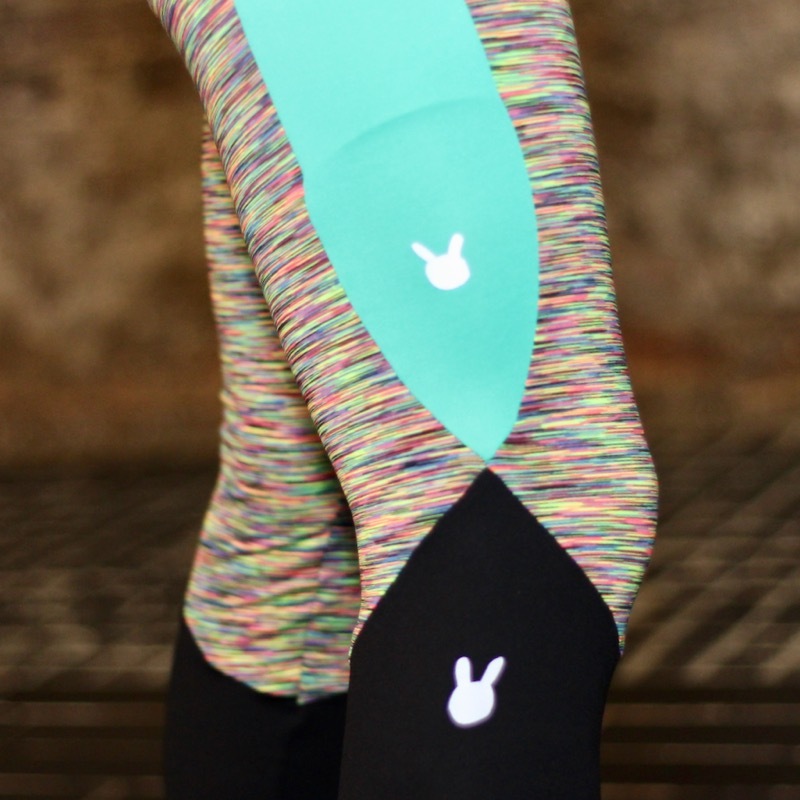 PATTERN: Take the Side, Front and Back pieces from your Lightspeed Leggings, and since we’ll only be modifying the Side, trace off a new copy of just that piece, being sure to mark the knee line. Tip: Remember that this pattern includes seam allowances already, so either remove these now, or mark your changes in a different coloured pen/pencil so you know which lines to add these on to at the end (I’ve done mine as dashed lines throughout this tutorial)! 2. SIDE LINES: Determine your finished side panel (and therefore, pocket) width based on the widest object you wish to store (such as your phone) and subtract 10% from the amount so the fabric’s stretch will prevent it from falling out as you move. 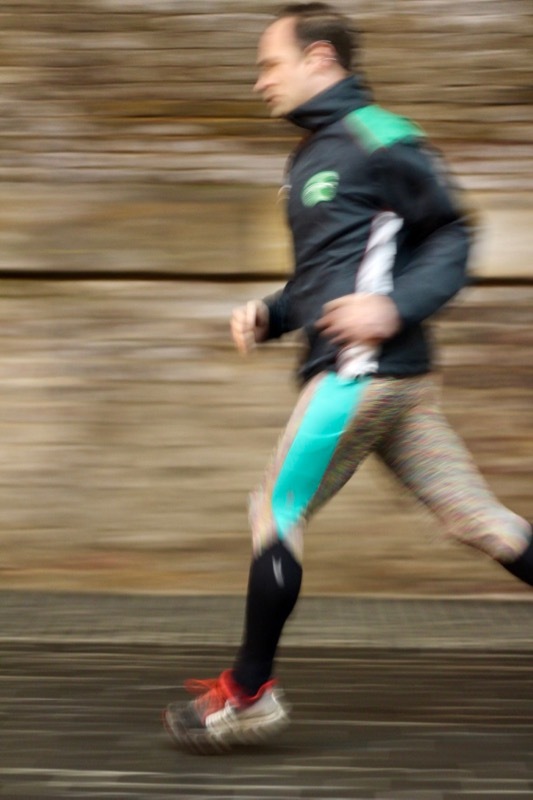 Draw a rectangle of that finished width centred on the waist notch running from the waist down to the knee. For example, for an object that’s 10cm (4in) wide you’ll want a pocket that’s 90% of this – 9cm (31/2in). 3. DIAGONAL KNEE LINES: Mark a point 15cm (6in) up from the marked knee line along the outside of the rectangle. Draw a line connecting this point to the center of the rectangle at the knee, curving the line to join the side panel line. 4. SIDE PANEL: Carefully cut around your side rectangle using the curved point instead of the bottom edge and remove it from the Side piece. Follow Steps 5-7 as in the Active Leggings “Pattern Changes” instructions on page 97. 8. 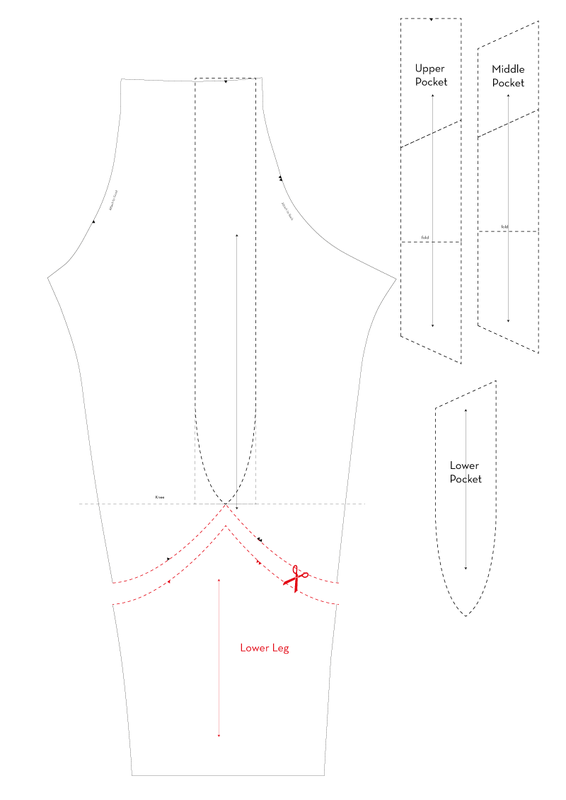 LOWER LEG LINES: On the Side piece, mark a point about one third of the way down the inseam from the marked knee line on both sides. Draw a line connecting each point to the centre of the knee line, curving up as it joins the point from the side panel. Add a single notch along the line on the Front, and a double notch along the Back. 9. LOWER LEG PANEL: Transfer the grainline from the original Side piece to the Lower Leg and cut along the lines. 10. 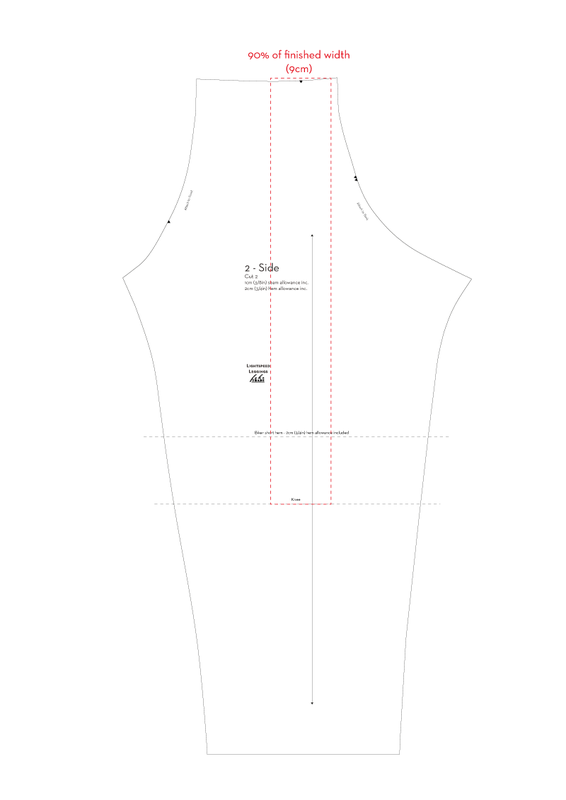 ADD SEAM ALLOWANCES: We’ve already removed the side panel in Step 4, but now is the time to re-label your old Side pieces as Side Front and Side Back, transferring grainlines from the Old Side piece, and adding seam allowances onto any coloured (or in my case, dashed) lines so that all your edges are consistent. 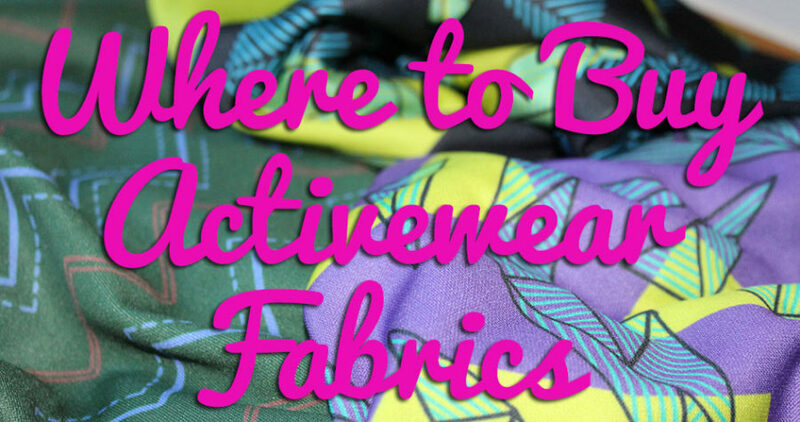 Follow Steps 1-5 of the Active Leggings instructions starting on page 99, replacing all instances of “Front” with “Side Front” and “Back” with “Side Back”. 6. 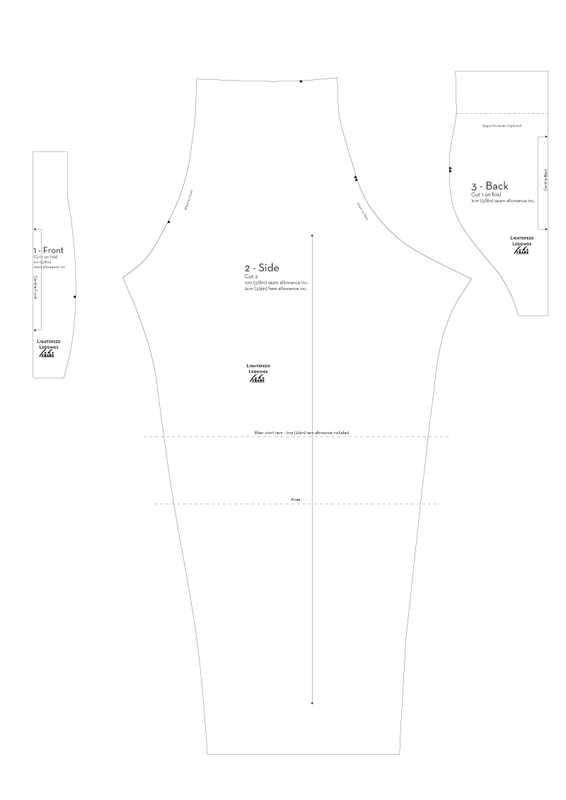 Attach the Front to the Side Front pieces as in Step 11 of the Lightspeed Leggings instructions. 7. 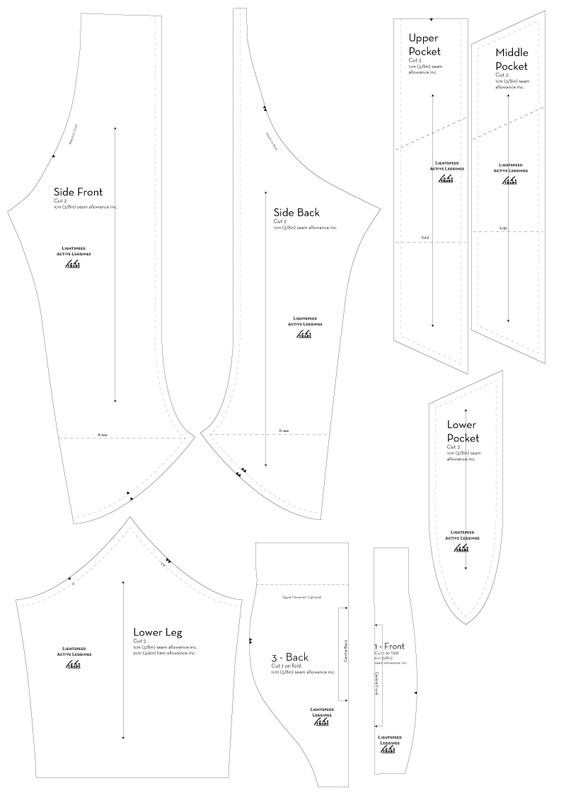 Attach the Back to the Side Back pieces as in Step 12 of the Lightspeed Leggings instructions. 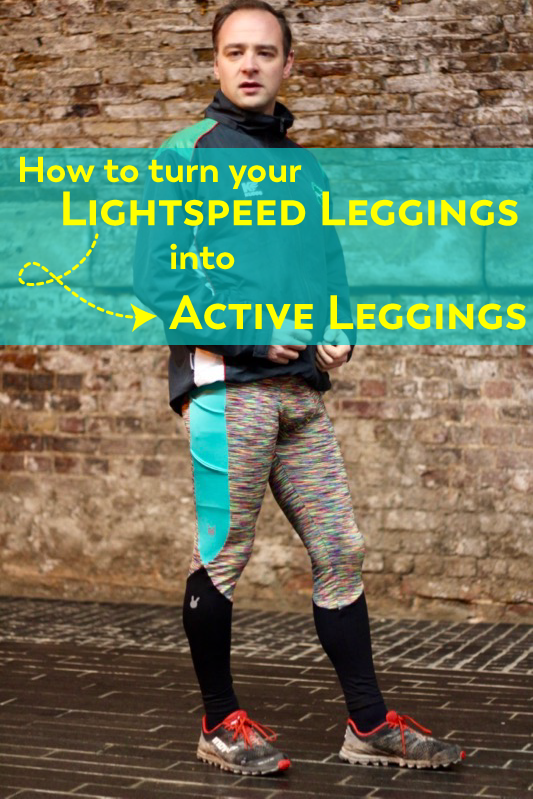 Follow Steps 13-16 of the Lightspeed Leggings instructions. 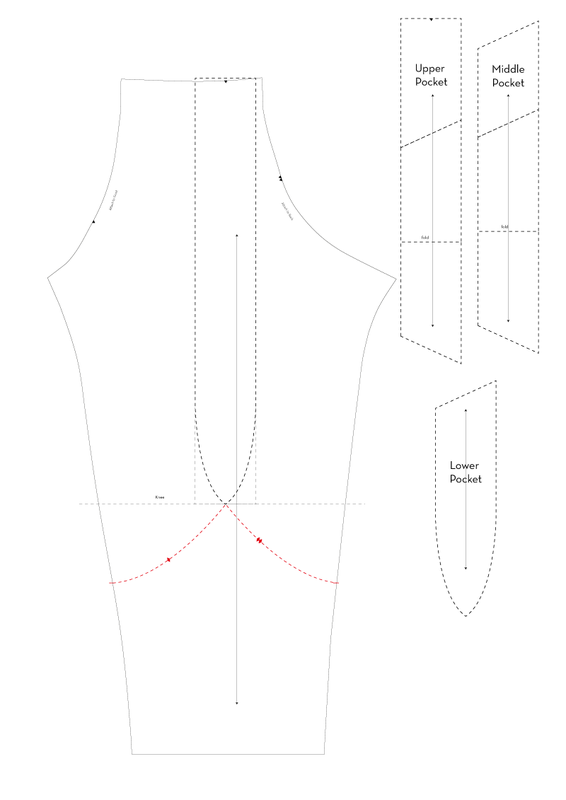 You can also use a similar method if you’ve got a no-outseam leggings pattern for women or children that you want to use as a starting point, too (they just will probably have a traditional crotch seam rather than the male-anatomy-friendly panels like the Lightspeed!). 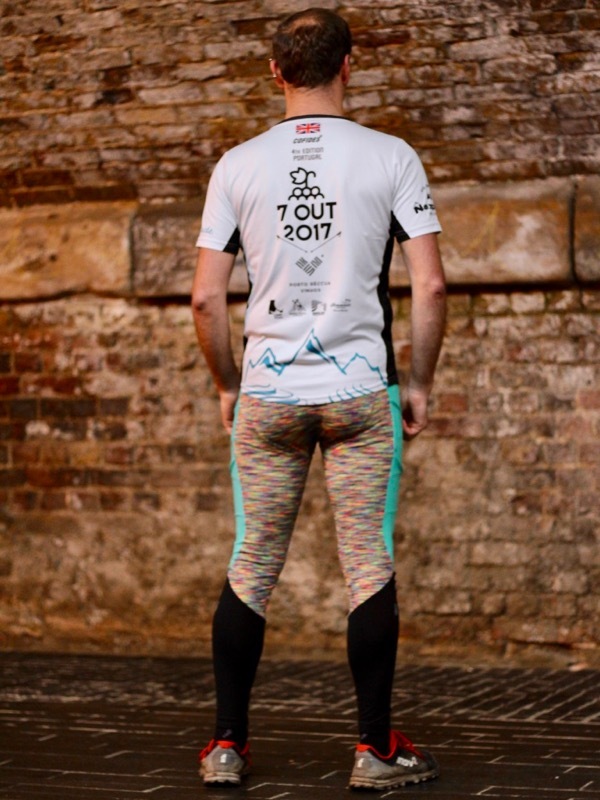 To help support all our fit men out there, we’re running a special flash sale on the Lightspeed Leggings pattern! 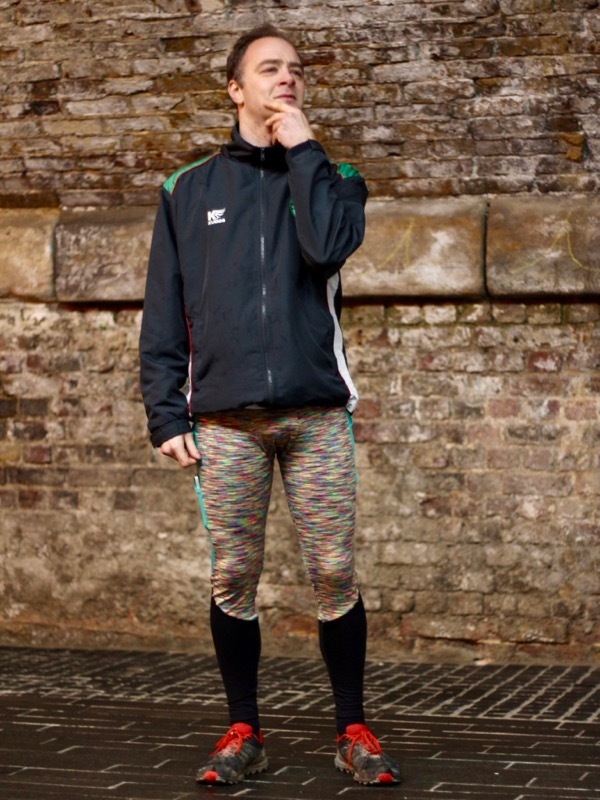 And be sure to share your Active Leggings (Lightspeed-based or otherwise!) 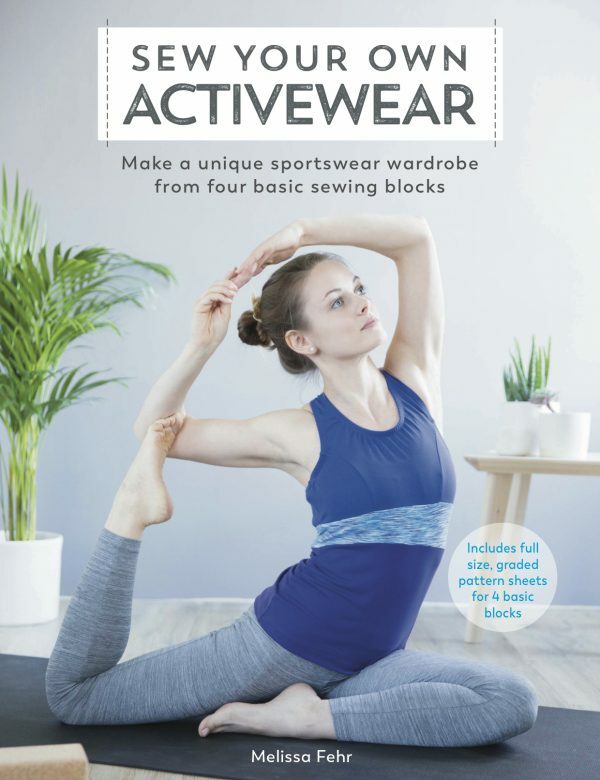 with the hashtag #SewYourOwnActivewear – I’ve got some great versions of these to share later this week, including an amazing version a reader has sewn up already for a very fit little girl! Separator image Posted in Gallery and tagged with fehr-trade-patterns, lightspeed-leggings, sew your own activewear, SYOA active leggings, tutorial. Bravo! 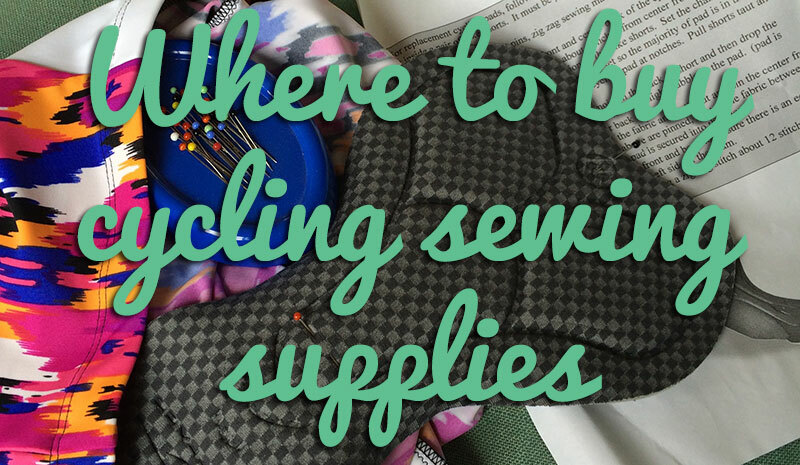 That quote from your book makes me feel so happy and proud of the sewing community – making it explicit that everyone is included seems like such a small thing, but I believe it really matters. Thank you! Such a great tutorial too! 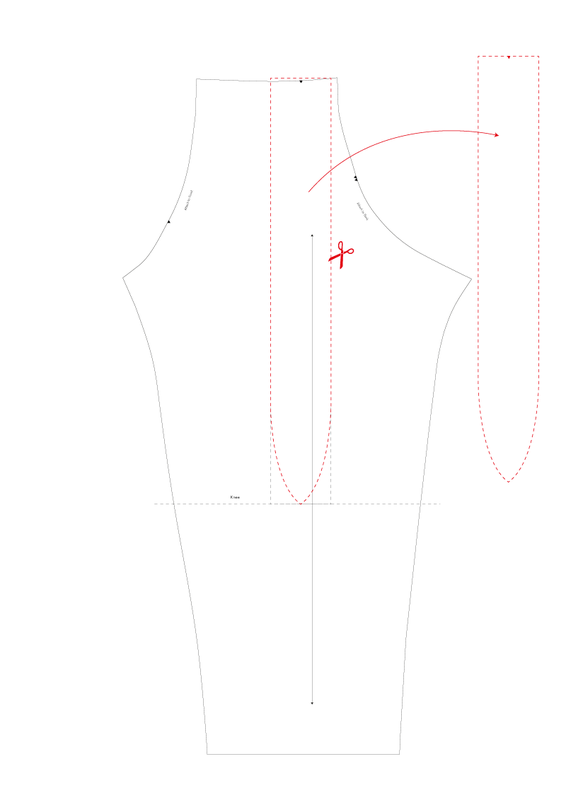 Seeing as there is the side pocket panel with a couple of seams up it, I was overambitiously wondering if I could squidge together the main front and back panels of the active leggings design to remove the inseam, in the same way as the calf pieces remove a seam by combining front and back leg pieces. 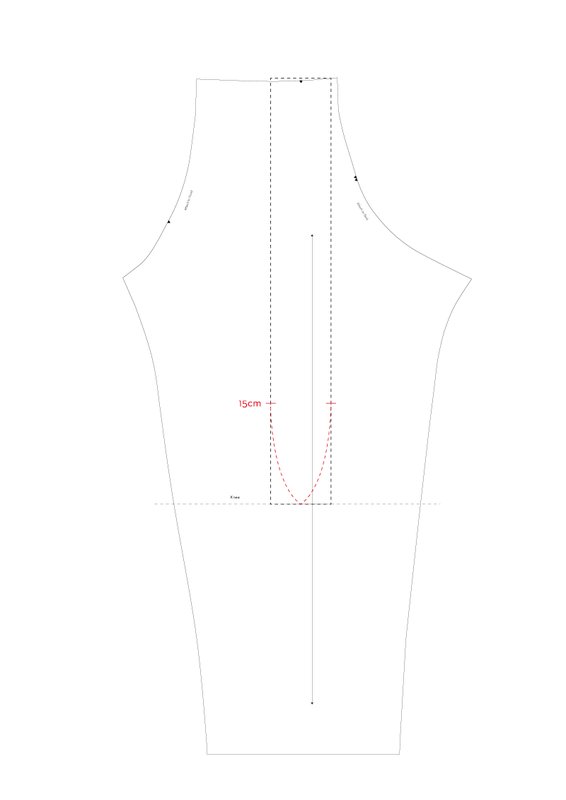 (And shift the seam on the calf piece to the outside to match) But trying to reallocate the gap between the curved inseams to the outside edges left really weird-looking curvy edges to sew to the straight pocket panel. I know there is a ladies pattern on here that has no inseam, but I guess it’s a very tricksy thing to try and achieve!